Jan 21, 2019 | By Daniel D.
Jan 11, 2019 | By George T.
I sent a box of 6 all berry jellies to friends and family as a Christmas gift. The universal feedback was amazing. Everyone loved them. Jan 9, 2019 | By Joseph M.
Buy these Preserves for myself as well as each year for my Mom for Christmas. Love them. These gifts packs were so well received. Everyone commented on the superior quality and taste. These will be a permanent gift idea for many future events. Dec 25, 2018 | By Sophie T.
Your Preserves are the best,full of fruit and thick,taste like fresh fruit.It is evident that great care goes into making them.They make wonderful gifts;I'll be back for more !!! Dec 21, 2018 | By Trudy R.
Have had trouble before finding one of my favorite flavors anywhere, but you have it for the best cost, the best taste and larger than the dinky jars others offer. This is not my first purchase and won't be the last. Jan 11, 2018 | By Jennifer W.
This is the perfect gift to buy for anyone - whether they are difficult to buy for because they have everything, or if they have nothing then consider this a way to "feed the hungry." Both orders delivered on time. No problems. Dec 27, 2017 | By Mirelle R.
Sent Trappist Preserves as Christmas gifts as well as ordered some for myself. These are excellent tasting preserves and remind me of preserves from years ago. I am going to order again for myself and others when a nice gift is needed! Jul 14, 2017 | By Angel P.
The preserves were so delicious, I just ordered another half dozen! Thank you. Jan 28, 2017 | By Barry W.
The 3-pack of Trappist Jams/Preserves was given as a gift to a family member who reports they were delighted with the gift and certain memories that they re-lived. I am staying stocked up on these and also occasionally give collections as gifts. I previously ordered jams from England, however these are the best tasting of the more economical of all natural brands and I am very hooked on them. Jan 10, 2017 | By Dana H.
The jams were a special gift to my dear husband. The jams are truly heavenly in taste and texture. The ordering and receiving the order was easy and received on time. Thank you and Blessings! 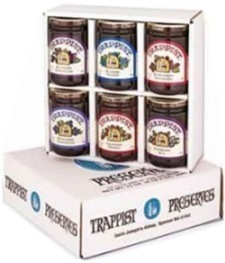 I keep stocked up on Trappist Jams and also send them as gifts. This is the best product and also a great price for these all natural products. Jan 8, 2017 | By Ron M.
We give the 6-pack to family friends with more than a dozen grandchildren. They raved about the selection of flavors made with the Trappist quality we have come to expect from the monks. The grandmother placed her own order to be sure she has a supply on hand when the grandchildren visit. The perfect gift for a senior with a sensitive digestive system. My Mom is on a restricted diet that has her avoiding seeds of any kinds. The preserves are flavorful in keeping with the Trappist traditions we have come to know over the years. Dec 26, 2016 | By Deborah C.
I am in Canada, and found your ad in Yankee magazine - my friend in Windsor Maine, to whom I sent this gift, was THRILLED with the product. Delivery was quick, ordering on line easy, and I am so happy to support the cause and present my friends with such a lovely Christmas gift. Dec 8, 2016 | By Joseph M.
We get this jelly every year as a Christmas gift from our Pastor. This year I got a Jelly set for my Mom who tried it and had just fallen in love with it. She loved the gift. The jams and jellies are the perfect gift for friends and relatives! Feb 16, 2016 | By Patrick B.
I've been searching for a consistent supplier of great Trappist jams & jellies for years. I've been enjoying this product on everything from muffins to ice cream. I just love them and they are worth every penny you pay for them. 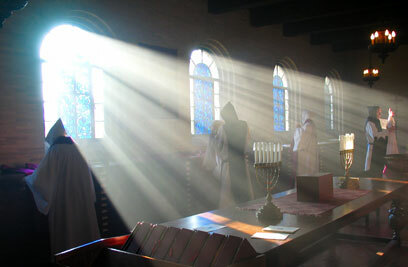 God bless the Trappist Monks and special thanks for all the prayers said for all of us outside of the monastery. Peace be with you all. Feb 11, 2016 | By William S.
Service was quick. Packaging was sturdy. Preserves did not break everyone enjoyed the preseves which were fresh and flavor able. Jan 13, 2016 | By Herbert S.
The shipment arrived in Arizona perfectly and my folks are thrilled to sample each of the different preserves! Jan 13, 2016 | By Elizabeth L.
All recipients have been very happy with these gifts. 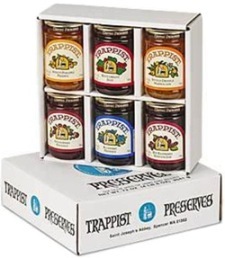 I sent the Trappist Preserves to a friend for Christmas and they absolutely loved them. I was extremely pleased with their comments. Would recommend to everyone. 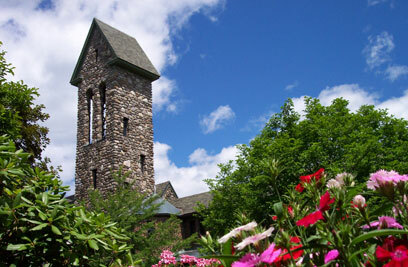 Dec 19, 2015 | By John T.
I grew up near the Monastery in Spencer, Ma. One of the best memories was the Orange Marmalade on an English Muffin. Oct 8, 2015 | By Carmella D.
By far the best jams and jellies I have ever tasted. I also sent 3 jar set to my son & his family and unbelievable fantastic review. Intend to order these regularly. The flavor is my favorite. It tastes like it was fresh-picked. It comes in a wonderful 12 oz jar. A lot of seedless jelly for the price. I will be ordering more again.